I had a great idea for a post today. It was based on a survey about happiness. Then I started to draft it in my head while I was in the ladies' room and realized that the past couple of days have been too full of facing my shortcomings. Just don't have it in me to do more and do it in public. So here is a picture of my dog. 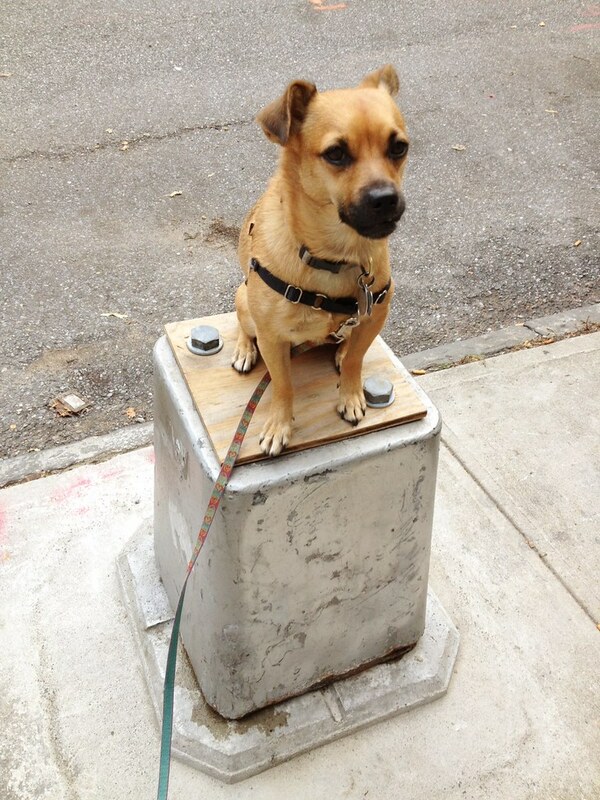 On a pedestal. Where he belongs. Nice re-direction, but survey's on happiness can never....OH! Look! A puppy! Look at the cute puppy. He's so good.